The dream has been going on for decades and guess what, Nike’s self-lacing system has finally made its commercial debut. Even though such system was already equipped into a specially made Nike Mag that the company presented to Michael J. Fox just in time for the 30th anniversary of Back To The Future last year, the HyperAdapt 1.0 is the first all new model to feature a self-lacing system. Just like in the popular science fiction movie, the system which Nike called Electro Adaptive Reactive Lacing (E.A.R.L) will automatically tighten the laces once the wearer steps into HyperAdapt 1.0 as detected by the sensor that is located at the bottom of the shoes. While the system actually adapts to the wearer’s weight and position of foot, users still able to adjust the fit using the control buttons located at side of the shoes. 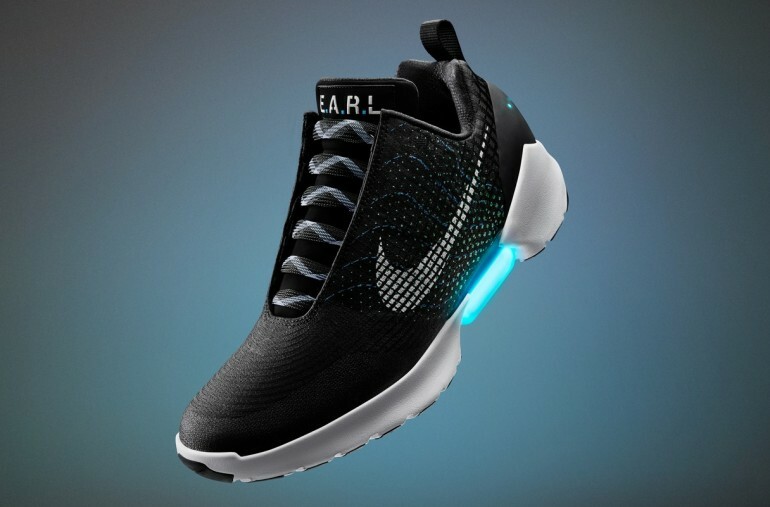 The HyperAdapt 1.0 also comes with a set of LED lights which acts as the power indicator for the E.A.R.L system. As for battery life, E.A.R.L apparently able to last up to two weeks per charge and will come with inductive charging system. As interesting as these shoes might look, there is no pricing for HyperAdapt 1.0 at the moment. That being said, it will be released towards the end of 2016 but through the new Nike+ app first which means that it might take HyperAdapt 1.0 sometime to reach Malaysia.